Professionally manicured landscapes are easy with our weekly maintenance services. We pay attention to the details so that you can enjoy your yard. In addition, our team can help with sprinkler system tune ups, repairs, backflow testing and winterization. Proper watering is easy if your system is working to its potential..
Sprinkler systems can be complicated and cause headaches. Team Red has had years of experience and training in dealing with all sorts of sprinkler systems issues. Whether you have a manual or an automatic system, let us start you up each spring and then finish off the year with winterization that is guaranteed. Throughout the year, if you notice a dry spot or just need a consultation, call us up so Team Red can handle the problem and take the headache out of your lawn care issues. 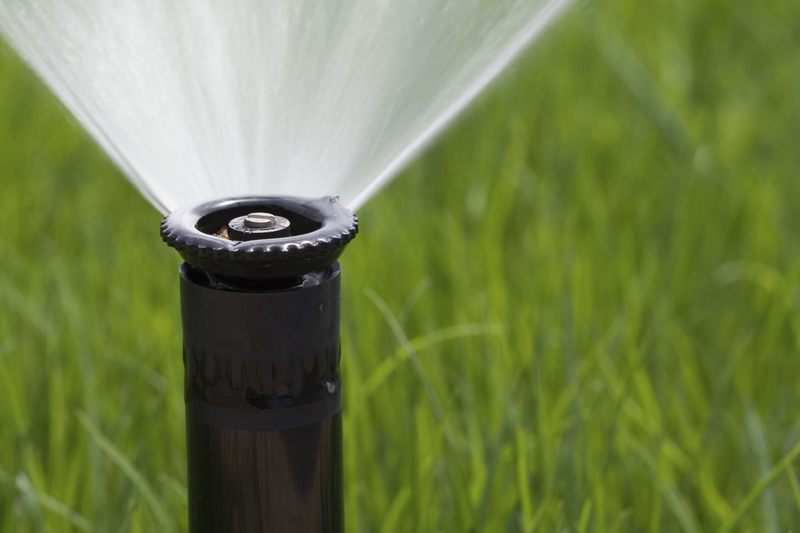 Our team can help with sprinkler system tune ups, repairs, backflow testing and winterization. Proper watering is easy if your system is working to its potential.